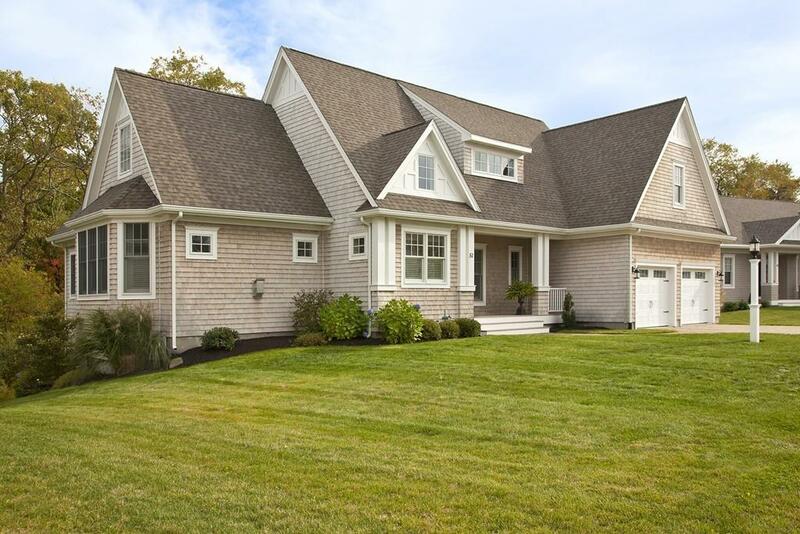 SEASIDE COHASSET PRICE ADJUSTMENT This home has the privacy you desire and the convenience you hoped to find. This bright first floor with it's open plan includes a granite and stainless kitchen with a large island, a welcoming sun room that leads out to a private deck overlooking woods in addition to the sitting room/office. Also on this level is a dramatic living room featuring a gas fireplace and builtins plus the open dining area and a spacious first floor Master Suite with an adjacent laundry set up. The private second bedroom and full bath are on the upstairs level with a loft area. Down the hall on this level is space to expand if desired or just as amazing storage. The walkout lower level has endless possibilities and very high ceilings for incredible storage, a space for your hobbies, or perhaps additional living space.. Come see what quality and attention to detail have gone into this home!